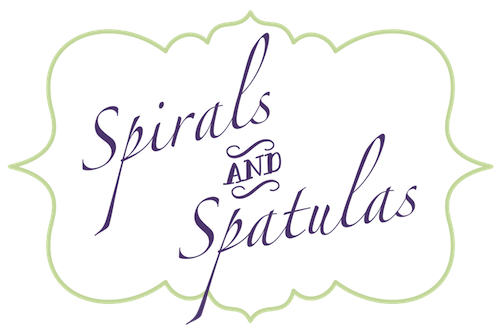 Spirals & Spatulas: Wedding Week: Wednesday! Guess what? There's a disc of all the files from our wedding photos. And it's in the mail on its way to me! So the time has finally come for WEDDING RECAPS! 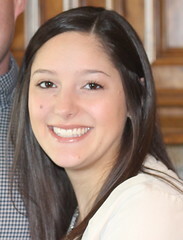 I thought about re-capping the entire week before the wedding (you know, starting 7 days before), but I think it will be better for everyone if we just skip through those first few days. I spent most of May and June 2010 obsessing over getting wedding things done, and by the time we made it to the actual week of the wedding in July there just wasn't much left to do. My bridesmaids were so sweet and kept offering to help with wedding things, but my to-do list was virtually gone, which was weird. I know everyone says to try and get stuff done early and avoid a pre-wedding frenzy, but I'm going to go ahead and say the opposite -- if you're a Type-A, first-born, meticulous list-maker like me, don't overdo it. You'll be bored and spend days just wishing you had a fast-forward button. And then Wednesday night we did something I would totally recommend to any bride. The entire bridal party + significant others met at Taco Milagro for dinner. With my sisters and BM Amy, headed out for the first wedding week event! It was so great for my bridesmaids to meet Jeff's groomsmen. Our wedding party was mostly college friends, and since we didn't go to the same college they didn't know each other at all. But everyone kind of befriended everyone else at that informal dinner, and it made the next few days really fun. They had a great time with each other at the rehearsal dinner and wedding, and now they all keep in touch on Facebook. Go figure. Up next, nail salon appointments and a slightly-different bachelorette party! Love the pictures! It looks like it was a fun time! I totally agree with you - For some people (ahem, me) it was just easier and better to put some things off until our wedding week. 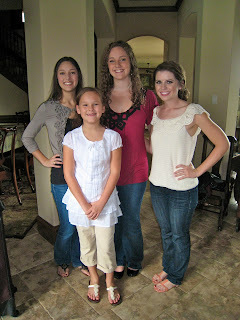 It made the week fly by, and I had the help of my bridesmaids and MOH who were in town! Also, love that you guys all went to dinner! Our bridal party all knew each other because it was our siblings and high school friends mainly and we went to high school together. But a dinner together is still so fun! Can't wait for your recaps!